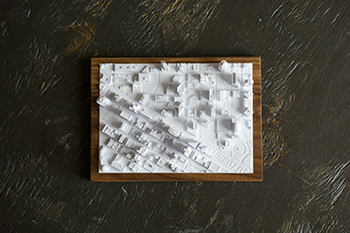 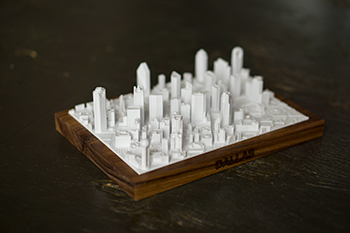 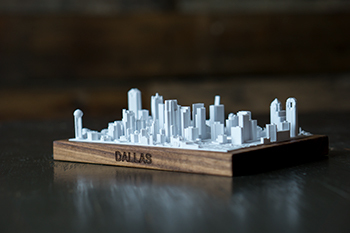 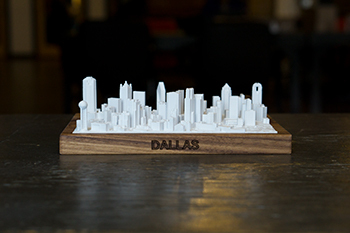 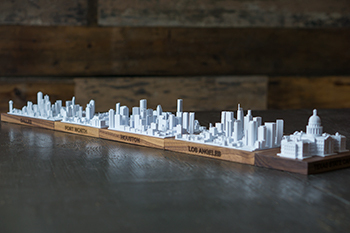 This is a to-scale model of downtown Dallas. 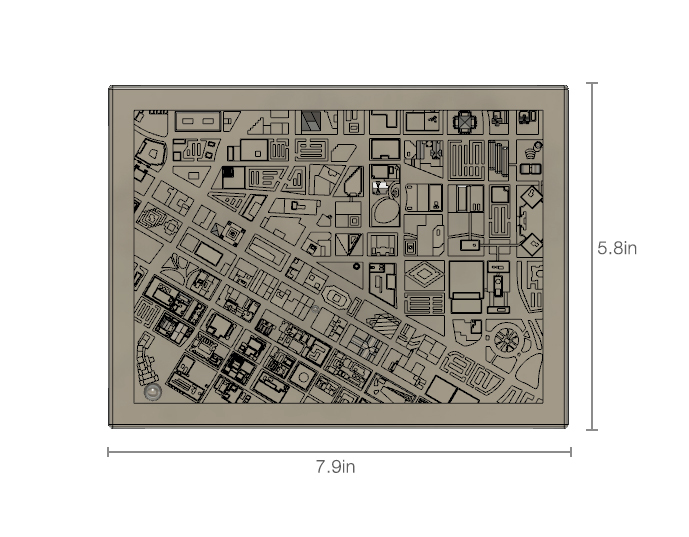 The boundaries are set from the corner of Griffin and Young St, up to Hord St, and down Crockett St.
Each building was modeled 1 at a time for precision. 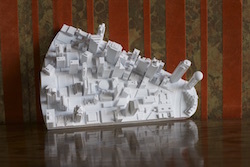 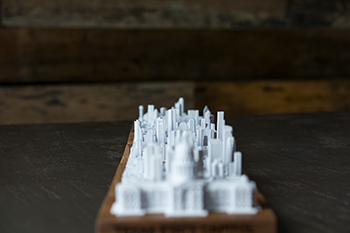 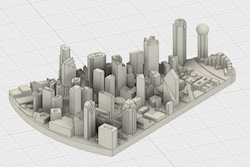 This takes a lot of work but is the best way to ensure an accurate replica of the downtown area. 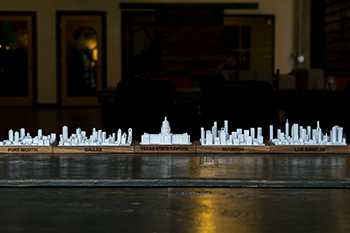 The scale is set at 1:6485, or every 1in is equivalent to 540ft in real life (1mm is ~21ft). 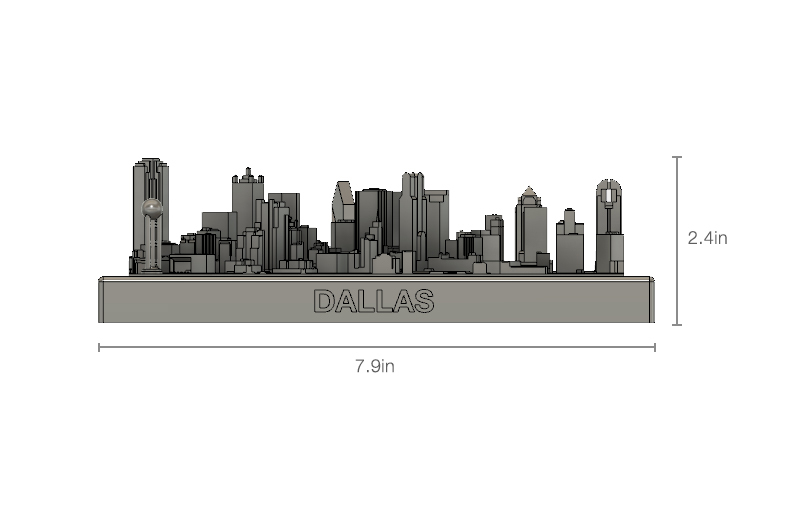 The tallest building in Dallas is the Bank of America Plaza which is 921ft; it is 1.7in in this model (~42mm).